George Prance was a sailor in the U.S. Navy during the American Civil War. He received the Medal of Honor for his actions during the Second Battle of Fort Fisher on January 15, 1865. A native France, Prance volunteered for service in the U.S. Navy and was assigned to the Union sloop-of-war USS Ticonderoga in 1862. On January 15, 1865, the North Carolina Confederate stronghold of Fort Fisher was taken by a combined Union storming party of sailors, marines, and soldiers under the command of Admiral David Dixon Porter and General Alfred Terry. Prance directed fire from the Ticonderoga’s guns upon Fort Fisher. Prance committed suicide at the Park House in the Temescal District of Oakland on April 3, 1885. He was allegedly upset that the Legislature didn't pass a bill which would have reimbursed him for an eye lost by an injury received while working as a dredger at the Oakland Port. Thomas Rutherford Bacon was a member of the faculty at the University of California at Berkeley for over 25 years, where he taught European history. He was considered one of the leading experts on the French Revolution. 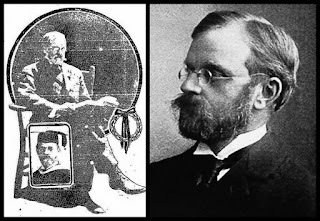 He also was an American Congregational clergyman and a noted Mugwump. 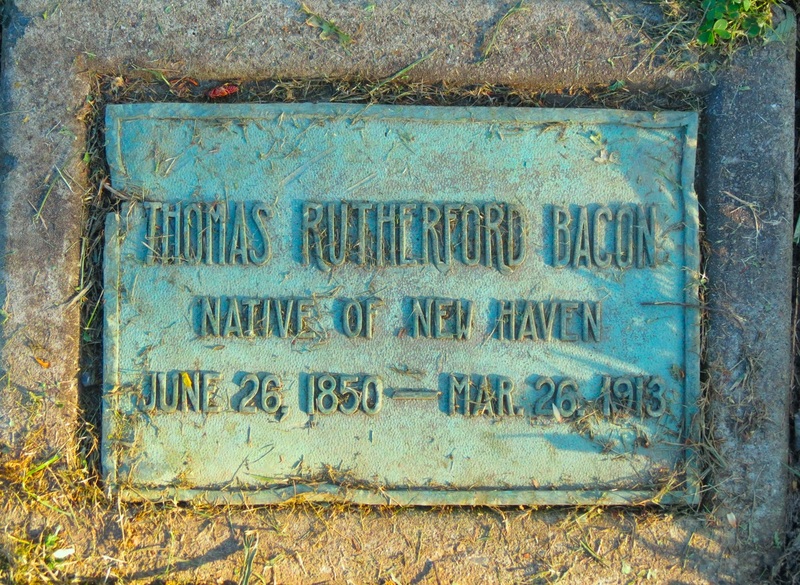 Bacon came from a long line of New England clergymen, which included his father and three brothers, Leonard, Edward and George. He graduated from the Yale Divinity School in 1877, where he edited The Yale Record, which was run by the son of famed politician James Blaine, who served as Speaker of the U.S. House of Representatives, U.S. Senator from Maine and Secretary of State. The elder Blaine, who was known for corruption, ran as the Republican nominee for President in 1884. Bacon and other reform-minded Republicans broke away to support the Democratic Party Presidential nominee Grover Cleveland in 1884, becoming known as the Mugwumps. The jocular word mugwump is from the Algonquian word mugquomp, an important person or kingpin, which implied that they were "holier-than-thou" in holding themselves aloof from party politics. After the election, he resigned his position as the pastor at the Dwight Place Church in New Haven, Connecticut after scurrilous rumors were spread about him. The whisper campaign was allegedly led by supporters of James Blaine. In 1887, Bacon moved to California to take over the pastorship of the First Congregational Church in Berkeley, replacing his brother who had died. He left in 1890 to teach at Cal, where he solidified his reputation as a historian and lecturer. He died of heart disease in 1913.